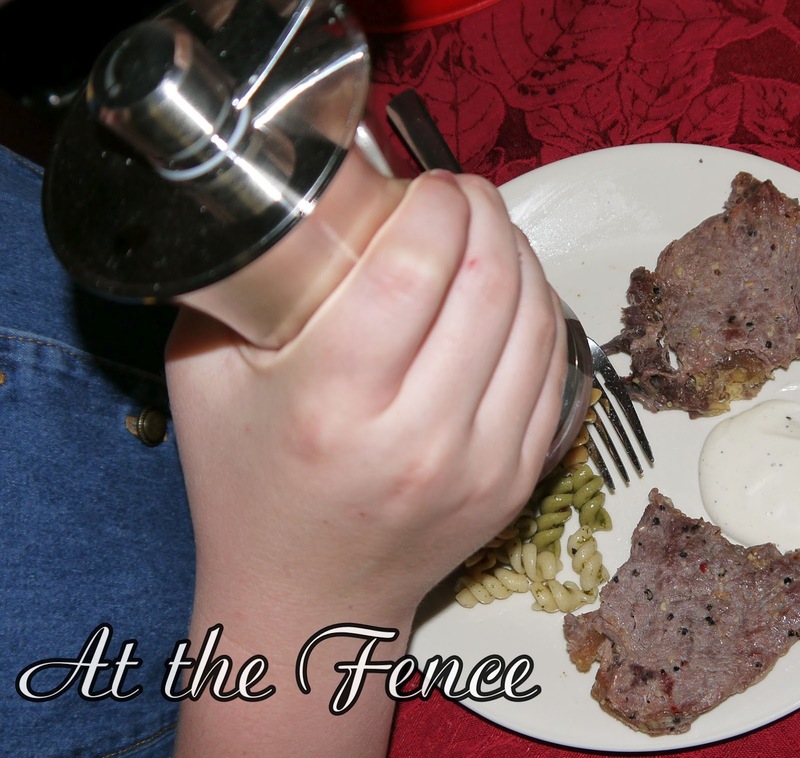 At the Fence: Trudeau Kitchen Gadgets! I have another great company for everyone today. Trudeau! 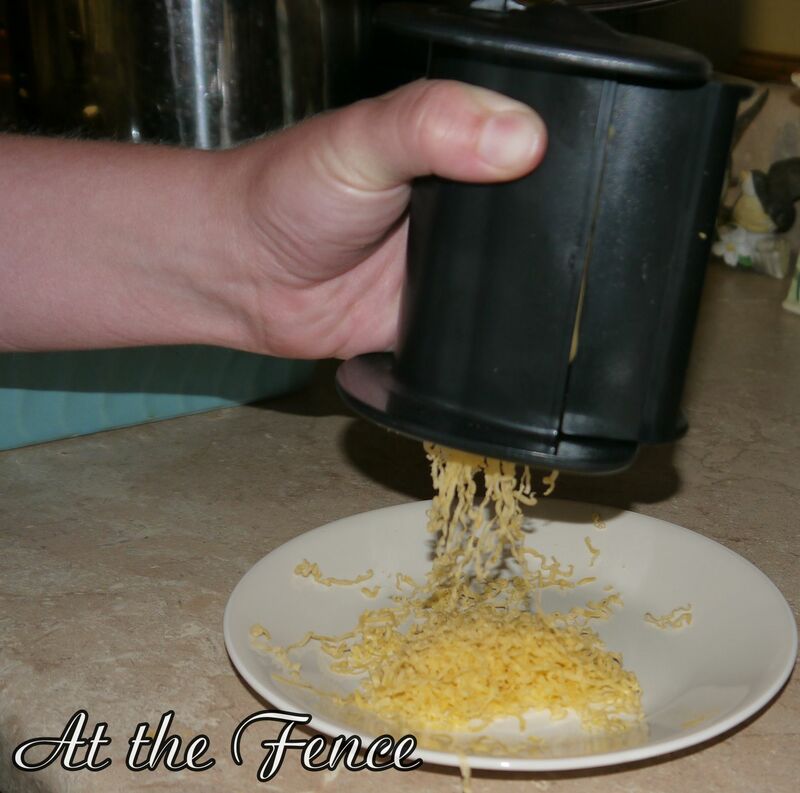 They have some really great Kitchen Gadgets. I was sent several items from their New Stress Less Line! Through a commitment to making consumers’ lives easier, Trudeau’s experienced team of designers creates fully functional and award winning kitchen products. Fresh thinking and modern design are just some of the hallmarks of a Trudeau product." 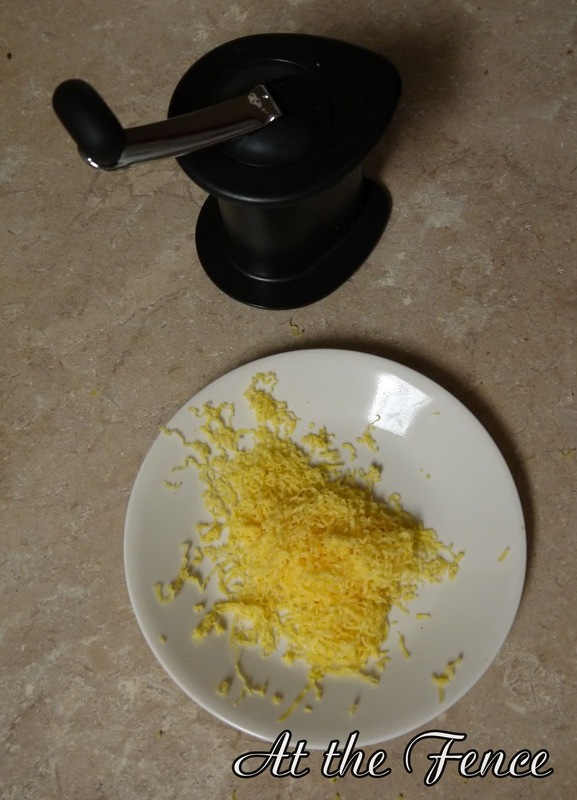 First thing is the Cheese Grater. This worked really great! My sister needed to grate some cheese for her pizza she was making. So we tried this! 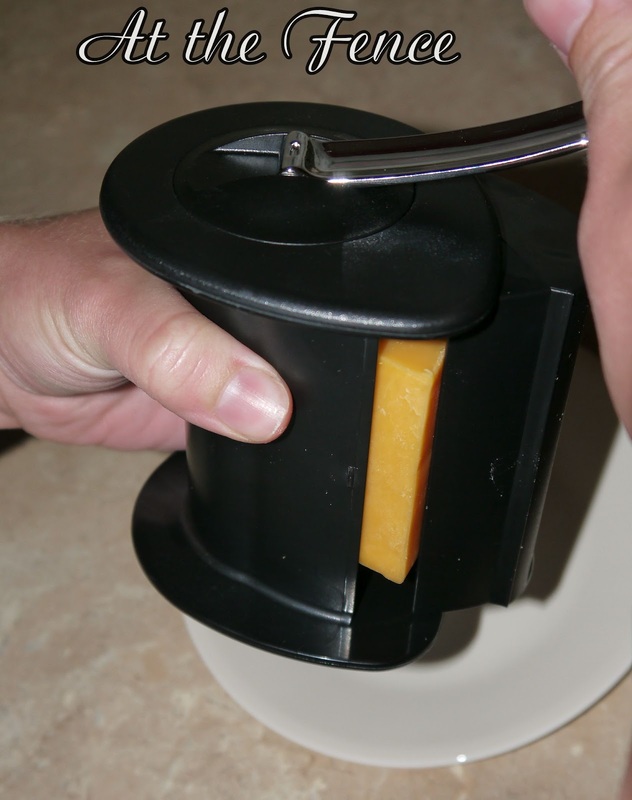 We put a chunk of cheese in and she started turning the handle. This is really easy to use and it does not make your hand hurt from turning it! 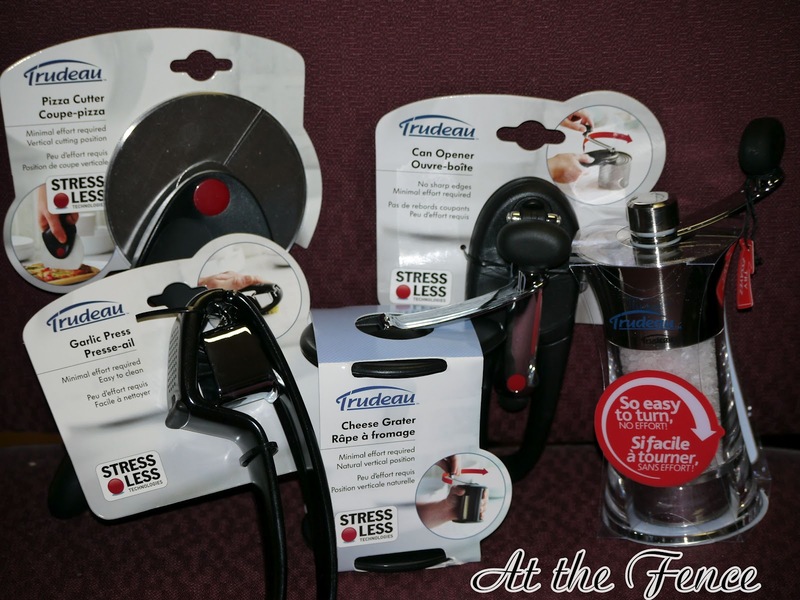 It really is Stress Less! This truly does work nice and my sister thought it was great! You can purchase this on the Trudeau website for $19.99. Next is the Pizza Cutter. This family eats Pizza ALOT! 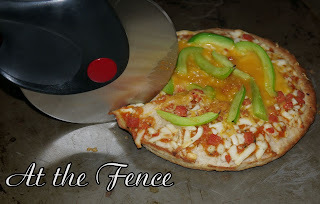 We often make homemade pizza for family night, a snack, etc. My sister also used this on her Pizza. 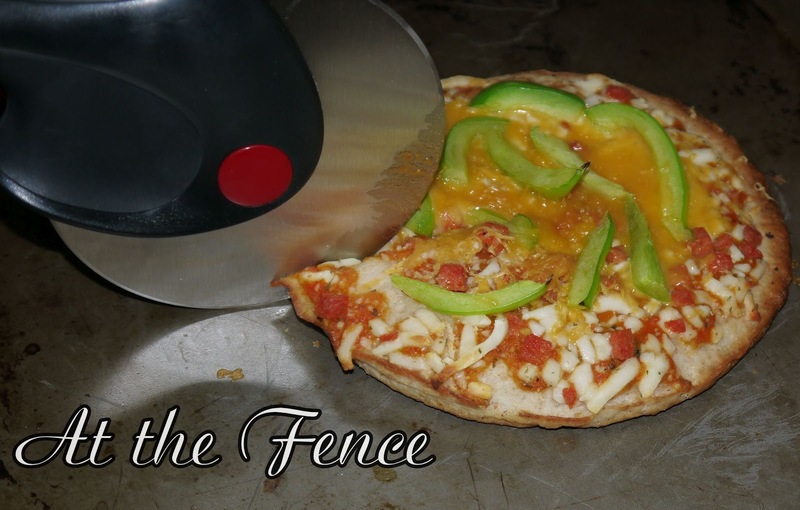 She said it works better than most Pizza Cutters and it was easier to use! This is available for purchase online for $12.99. 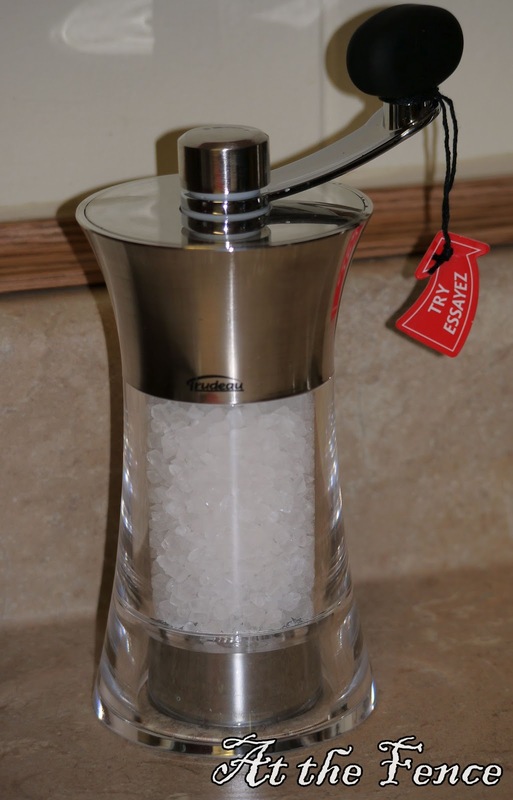 Another thing I received was the Salt Grinder. 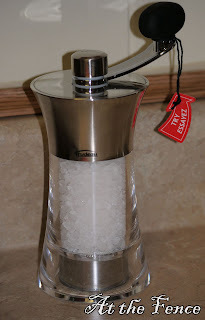 We use salt every day and some of us like it coarse and some of us like it fine. That is where this comes in handy! Love this!. The only thing we noticed about this is that even the coarser side (you turn the handle clockwise for finer and counter-clockwise for coarser) is still very fine. Some of us use too much salt, so mom has to keep an eye on it. 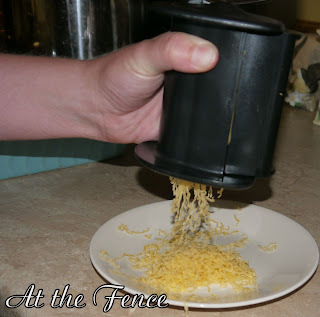 Next is the Garlic Press! We have not had a chance to use this yet but if it works as well as the rest of these products it will be great! This can also be purchased on the website for $19.99. Last is the Can Opener. I have to admit that this is my favorite item! We have several can openers and they all would last a few weeks and then stop working. They are a real hassle. You would have to keep opening and closing the handles for it to work. Not to mention how much it hurt! Not with the New! 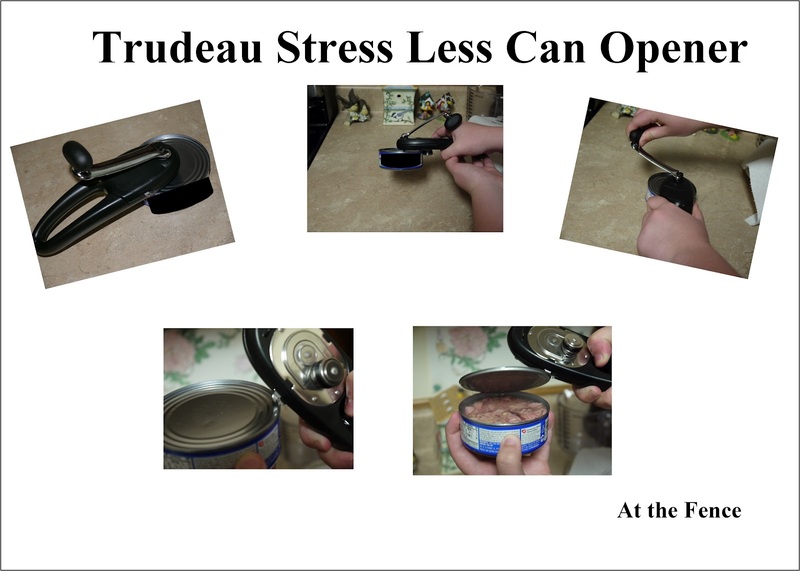 Stress Less Can Opener from Trudeau! We were getting ready for dinner and I started opening some cans so I pulled out my new Can Opener. We followed the instructions closely but it seemed like it was not even cutting it. I called my Mom and she came over to help. We started playing with it and then we started to turn the can... and juice started coming out! It does not even look like it is working unless if you look very closely. We were amazed! We started opening the rest and my sisters had to come over and try it out for themselves. It really is an amazing product! We also like that there are no sharp edges. How many times have you been cut while opening a can? Another neat feature is that there are little pliers to pull the top off. You don't even need to touch it! You can purchase this neat little thing for $19.99 off the Trudeau website. 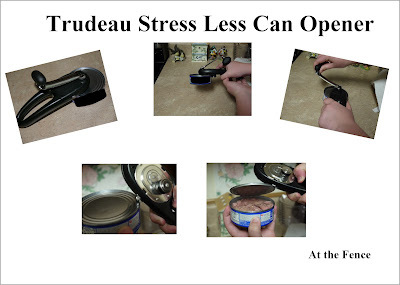 Trudeau has some really great products. We will be using these alot and they are worth purchasing. At the Fence recommends their Kitchen Gadgets! Make sure you go check them out! Disclosure:I received no monetary compensation for this post. I did receive products for review purposes. All thoughts and opinions are entirely mine.